Number One Pond in Sanford, Maine. Sitting almost on the New Hampshire border, the Sanford area is just west of Maine’s signature southern beaches. This inland area is filled with rivers, lakes and ponds and attracts fishermen and nature lovers from around the state and beyond. The towns in the Sanford area are quiet, laid back and cherish their industrial and agricultural roots. Visit for a day, a weekend or longer. You’ll find history, friendly locals and a treasure trove of wild creatures that just might pose long enough for a photo op. Sanford and Springvale were both factory towns, home to sawmills and assorted textile mills. One company, the Goodall Mills, specialized in carriage and horse blankets, eventually expanding to outfit railroad cars for the soon to be rich and famous. The Mousam River provided both power for the mills and transportation. Sanford eventually outgrew Springvale and today both are under one jurisdiction. The town boasts an AMTRAK station near Wells, a few motels and restaurants. Attractions include the many trails that criss-cross the area, great for hiking in summer and snowshoeing and cross country skiing during the snowy months. Visitors are invited to pick apples at McDougal Orchards in season, challenge the greens at the Province Lake Golf Course or do a spot of fishing in the various lakes. One of Springvale’s attractions is the Harvey Butler Memorial Rhododendron Sanctuary, a 30-acre nature preserve filled with wildflowers, birds and stands of the Great Laurels and their showy blossoms. Berwick, North Berwick and South Berwick were once all part of the town of Kittery, founded in 1647. The abundance of pine forests attracted settlers and soon the Gibbens Sawmill went up on the Great Works River, the first in the New World. Berwick is home to the Hackmatack Playhouse, founded in an old farmhouse and offering live theater productions every summer. Other attractions include the Old Hamilton House, the Sara Orne Jewett House and the Counting House Museum, now hosting the Old Berwick Historical Society. In South Berwick, the Berwick Academy has been prepping students for university since 1791. Vaughan Woods State Park, sitting along the Salmon River is also in South Berwick. The day-use park offers 250 acres of forests with over three miles of hiking trails, picnic areas and a mile long bridle path. The park was once part of the Old Hamilton House property, donated to the state by Elizabeth Vaughan in 1949. North Berwick’s claim to recent fame was the use of the Parrish Shoes factory building in the 1995 film “Jumanji.” Pratt & Whitney aircraft manufacturers also have a factory in this area. Hurd Manor, a many gabled Victorian mansion, is on the National Register of Historic Places. Camping is available at the Beaver Dam Campground and the Academy Street Inn operates as a B&B in South Berwick. The closest other accommodations are in Dover, NH. Restaurants are sporadic, most in Berwick and South Berwick. Alfred is a small town northeast of Sanford, and at one time was part of Sanford. Named after King Alfred the Great, it was settled in 1770. The town was once home to a thriving Shaker community, and the Friends of Alfred Shaker Village operate a museum out of one of the original Shaker homes. Up until the late 1940s, Alfred was an important railroad hub. The automobile put an end to that. Most services are in nearby Sanford, but the locally owned Shaker Pond Ice Cream outlet is a hit. They have over 60 flavors, including Whoopie Pie, made with pieces of Maine’s famous dessert. Acton is north of the Sanford, Springvale area and also includes the villages of South Acton and Village Corner. The town of Lebanon is to the south and Shapleigh to the east. Shapleigh and Acton share the Acton-Shapleigh Historical Society Museum, located in an old red schoolhouse in Shapleigh. Both towns sit on land that was once the Hubbardstown Plantation, a thriving enterprise until the late 1600s. Mousam Lake, in Acton, was once home to G.A.R. (Grand American Republic) Camps, recreational areas built in the late 1890s to entertain the well-to-do. Though these camps are long gone, the lake area still offers a number of vacation rentals. Most other services are closer to Sanford. Lebanon, named after Lebanon in the Middle East, was more of an agricultural center with sawmills, gristmills, a tannery and a wool carding mill. 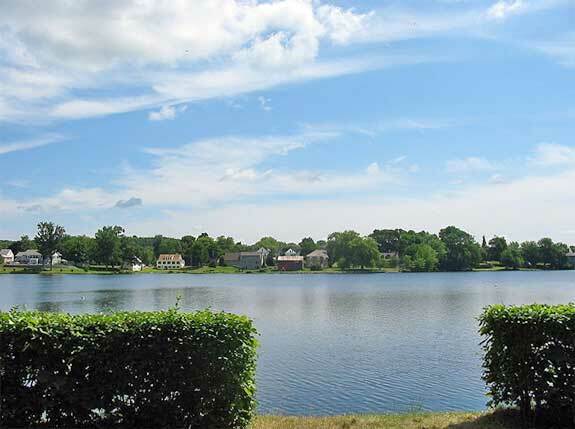 All three towns are made up of rolling hills, numerous lakes and still harbor the stone walls erected centuries ago. The Acton Fair, held each August, has been a mainstay in the area since 1866. The fair originally moved between the two towns until the current location, Union Park, was donated in 1890. A grandstand was built, followed by a dining room, stage and exposition hall. Visit the following directories to find lodging, dining, attractions, shops, services and recreational activities in the Sanford, Maine area.